Chamber Ensemble of the Symphony Orchestra, conductor Dmitri Kitaenko(1-3). Strings of the Voronezh Symphony Orchestra, conductor V.Verbitsky(4). 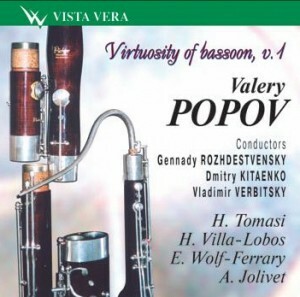 Valery Popov is a man of a colossal musical talent and boundless virtuosity. He possesses a sense of style and ensemble. I know nobody equal to him in the whole world.